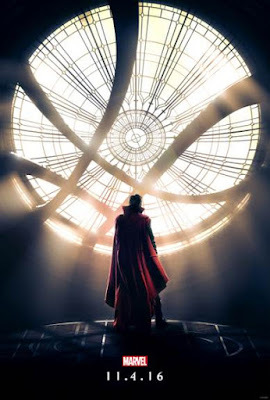 Life Music Laughter: Is Doctor Strange Worth the Cost of the Ticket? Is Doctor Strange Worth the Cost of the Ticket? Okay, so, in general I always like a superhero movie because it's a chance to remove yourself from real life and just be entertained. I especially like the Marvel universe that Disney has created with the intertwining story lines. So, it was probably a given that I would like Doctor Strange. What I wasn't expecting is just how much I would like it! Doctor Strange is a complex character that has to make a journey from arrogant rich selfish surgeon to a much deeper spiritual being. It's a Marvel movie, so it tells this story with fun and humor, and it certainly has it's share of action and excitement, but it's just a little deeper than some of the other Marvel movies we've seen. Doctor Strange becomes part of a group of spiritual defenders like they say where Avengers protect the physical world, they protect the spiritual. They practice magic like sorcerers, and are able to change and bend reality in a mirror world which makes for a visually stunning film. I'm not a big fan of 3D, but Doctor Strange is worth putting on the glasses. And, it simply must be seen on the big screen to get the full visual effect of seeing the New York City skyline folded in on itself. Don't wait to rent Doctor Strange; go see it in the theater. It's worth the price of the ticket. Much of the movie was filmed on location in Nepal, so you get a chance to see another part of the world. While on location, Benedict Cumberbatch said he was inspired to give back to the children there. You can help do that by taking a picture in your favorite hero pose. See the video below for more details or go to the Hero Acts website.